Safe adapter with power magnet: It can help suppress rush current efficiently, so that static electricity is released slowly. Newest chip Amlogic S905X, Android 6.0 Marshmallow OS and 16GB EMMC Flash from GooBang Doo, ABOX A2 could run many games, play unlimited movies, TV shows, music without freezing and buffering. Original 16GB EMMC Flash makes ABOX A2 10 times faster than other TV box on data reading and storaging. GooBang Doo fastest Dual-band wifi which supports 5Ghz and 2.4Ghz: To run the box without any delay or buffering. It runs faster than Amlogic S905 and supports HDR10 and HLG HDR processing. 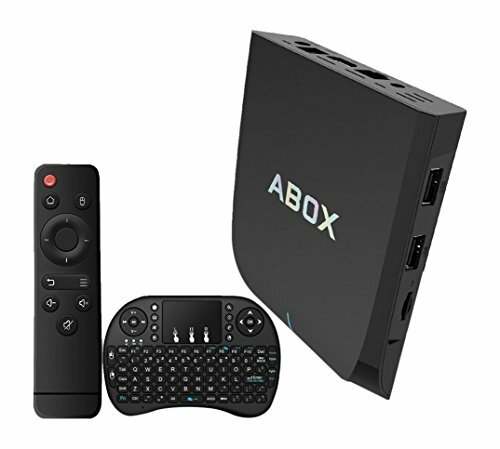 ABOX A2 Android TV BOX utilizes the latest version EMMC memory that users can enjoy faster read & write speed and make the TV BOX run more stable and smoothly.